In late 1989, as the Cold War was breathing it's last, a British intelligence officer was murdered in Berlin... and the dossier in his possession naming every operative in the city was gone. 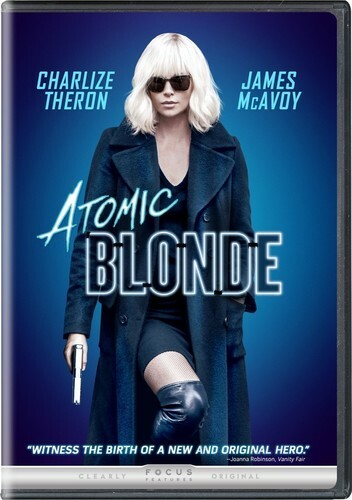 MI-6 sent in it's best and deadliest-stone-cold killing machine Lorraine Broughton (Charlize Theron)-to recover the intel, but will she and local section chief David Percival (James McAvoy) retrieve it in time? Kinetic spy actioner from the Antony Johnson/Sam Hart graphic novel The Coldest City co-stars John Goodman, Toby Jones, Eddie Marsan, Sofia Boutella.